Pre-workout drinks may provide energy but may cause adverse effects. 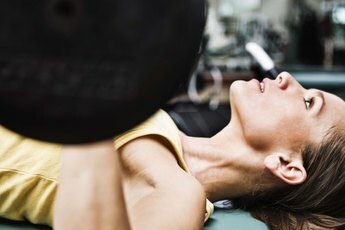 Many people in the fitness world are always looking for an extra edge, which is why so many new workout technique "breakthroughs" are constantly appearing. This is also the reason there are so many fitness supplements available, such as pre-workouts drinks. Pre-workout supplements are intended to get you energized and motivated for exercise, but they may also trigger a number of adverse effects. 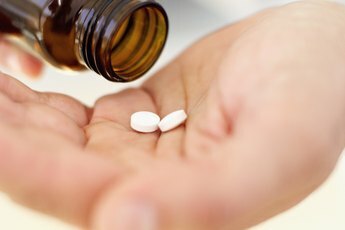 Consult a doctor prior to using any supplements so you can avoid undesirable side effects. During hard workouts, particularly in the heat, you may find that you sweat a lot and that your body temperature increases significantly. Unfortunately, pre-workout drinks can exacerbate this effect, as they tend to contain large amounts of caffeine. When consumed in large doses, caffeine can increase your body temperature and may contribute to dehydration because it acts as a diuretic. Additionally, the University of Maryland Medical Center notes that combining caffeine with creatine -- another popular pre-workout ingredient -- may increase your risk of dehydration. Whether you're running, swimming or lifting weights, being able to control your body's movements without uncontrollable shaking is ideal. However, caffeine -- particularly in large doses -- is known to cause twitching, jitters or uncontrolled muscle movements due to the fact that it excites your nervous system. These uncontrolled movements can be annoying at best and dangerous at worst, as the caffeine from a pre-workout could cause you to drop a weight or have another workout-related accident. Although research suggests that the creatine in pre-workouts could help you build muscle, it may come at a price. The University of Maryland Medical Center notes that kidney damage may occur from creatine use, and warns that people who have kidney disease, liver disease or high blood pressure should not take this substance. If you're working out to lose weight, your pre-workout may be sabotaging you. In addition to caffeine, pre-workouts often contain high levels of carbohydrates to provide you with energy. If you're not tracking your calories closely, the calories from your pre-workout may add up and contribute to weight gain. Additionally, weight gain is a known side effect of creatine, so your waist may thank you for avoiding pre-workouts. The primary ingredients in pre-workouts, creatine and caffeine, can also be dangerous in that they may encourage high blood pressure. The University of Maryland Medical Center notes that creatine may increase blood pressure and those with the condition shouldn't consume it. Meanwhile, caffeine can cause dramatic increases in blood pressure and should especially be avoided before exercise such as weightlifting, according to hypertension specialist Dr. Sheldon G. Sheps. MayoClinic.com: Caffeine: How Does it Affect Blood Pressure?